Marcella Hawley of Power Poppy. All I can say is 'WOW,' this lady talented. 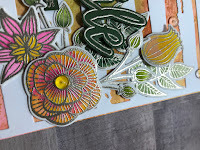 I traveled from Iowa and my sister came over from Indianapolis, where we had a fabulous day just coloring and networking with so many talented ladies from the Midwest. 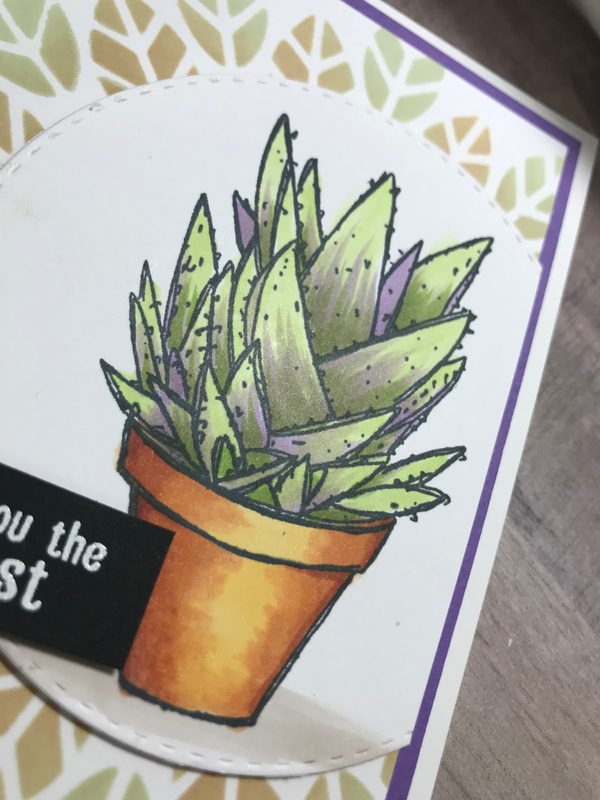 Starting several coloring projects, I finally had the opportunity to finish the card that I'm sharing today. 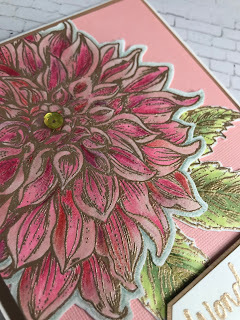 This oversized Dahlia is from the Power Poppy collection and has been colored with Copic Markers plus colored pencils for definition. 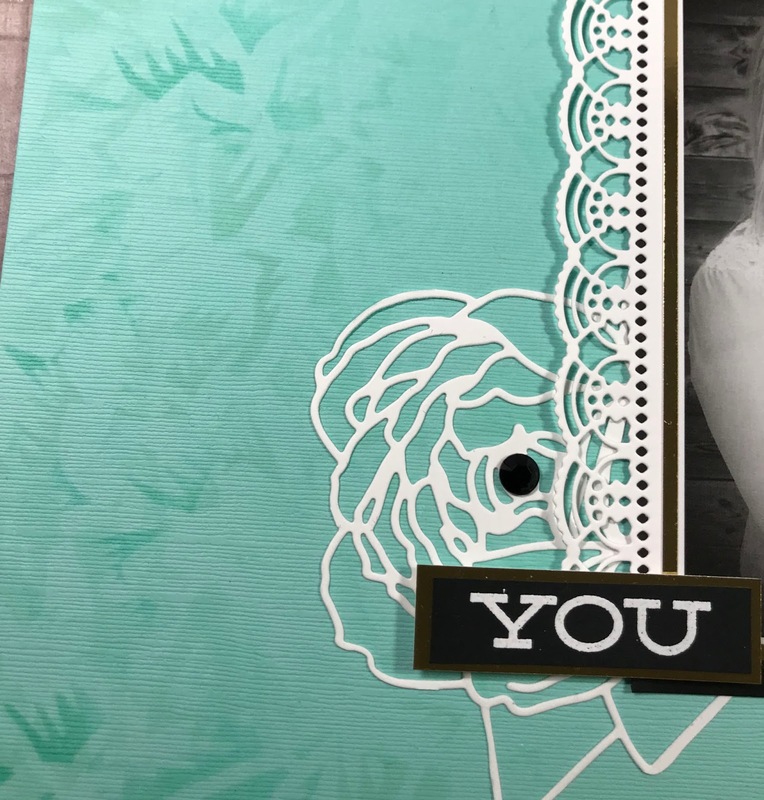 As I post my 28th project for my Altenew Educator Certification Program, I can say that I am so stoked to present a card that was inspired by Laura Bassen. She is so very talented and offers fabulous ideas. 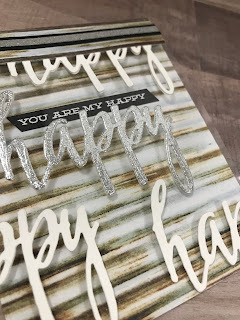 Please visit her blog and enjoy the entertainment! 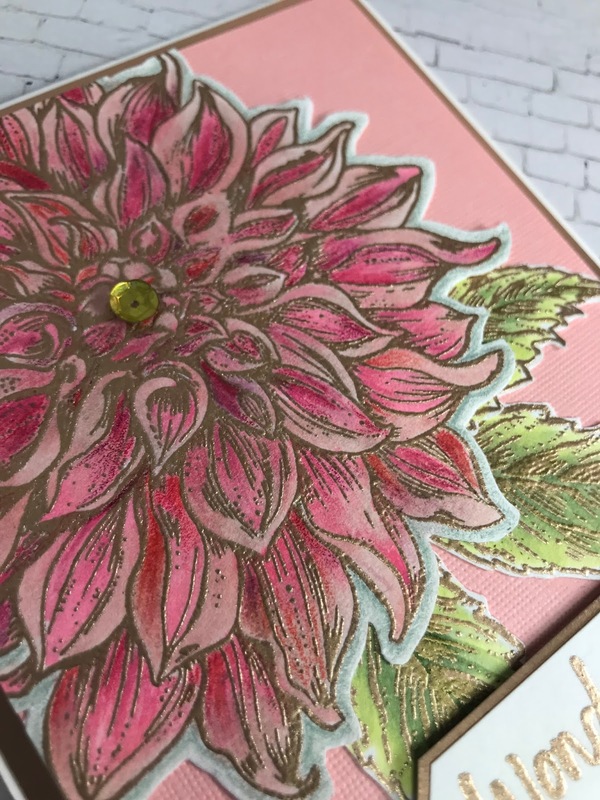 Laura focused on using the flicking motion with your markers to achieve stunning results on your floral images. 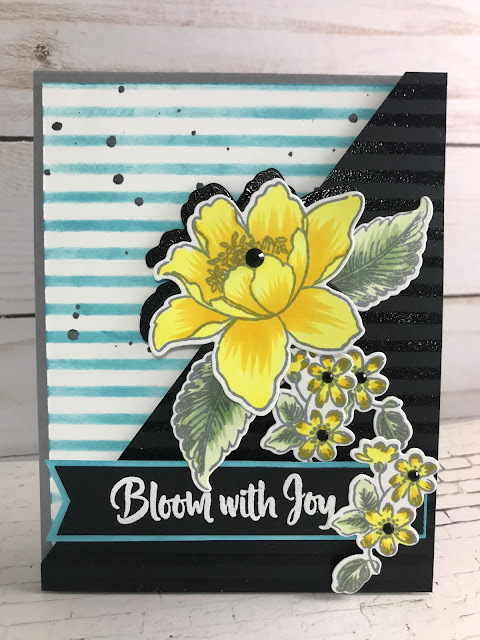 I wanted to make this a colorful card by using yellow, blue and black to make the colors Pop! 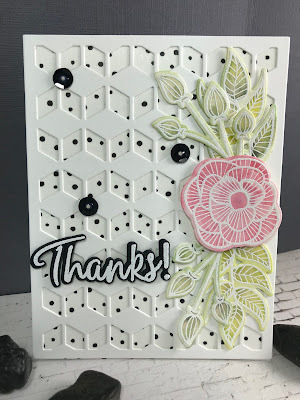 Using stencils, embossing, inking, and coloring, this card finished off as being one of my favorites. If you haven't looked into the Altenew Academy classes, please hop over and check them out. Great information and it's money well spent. 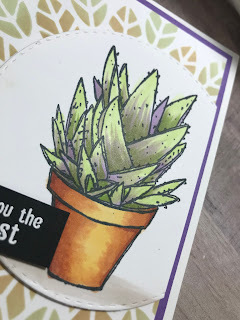 Today I am sharing a fun watercolor card using Altenew Re-inkers. 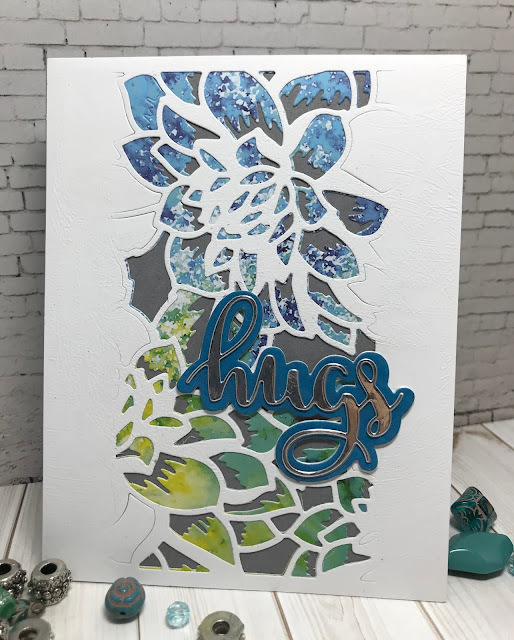 Now I needed a background, so I did a little ink smooshing onto a larger piece of watercolor paper and just added different ink colors creating layers. 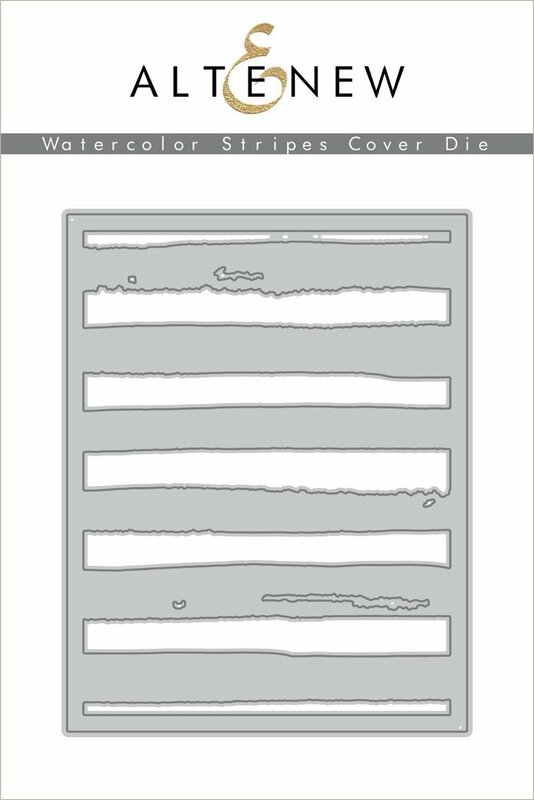 Placing the Altenew Watercolor Stripes Cover Panel on the front for additional interest. 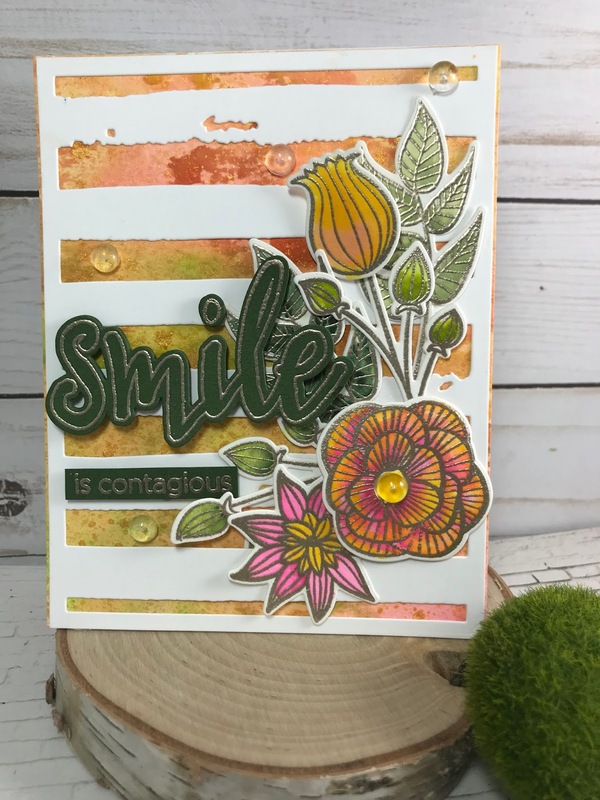 I arranged the colored/die cut flowers in the lower right corner, along with the 'Smile' sentiment and a few waterdrop gems. 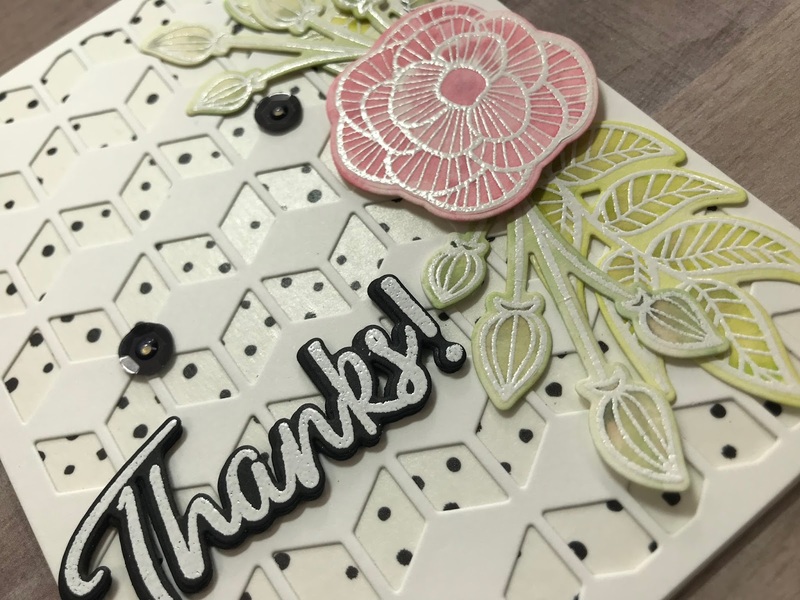 I also embossed the Striped Floral images with white embossing powder and made a second card. 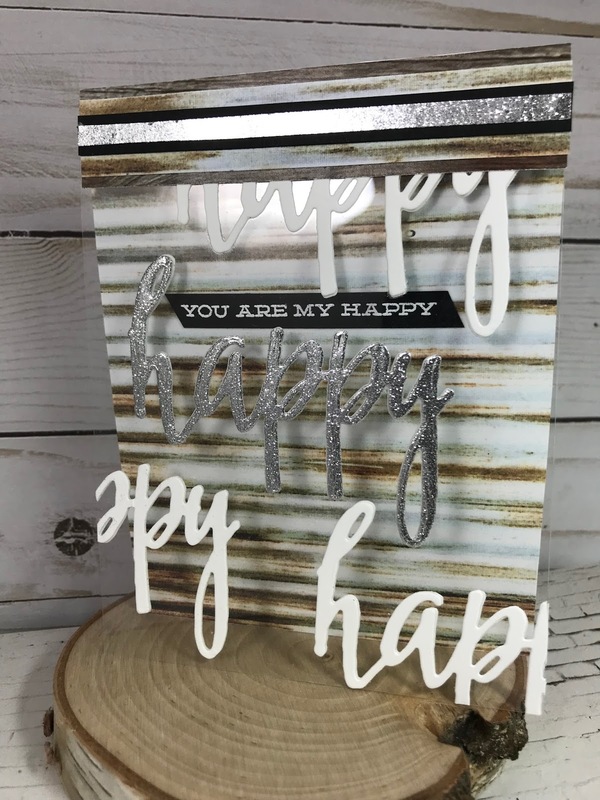 I decided to use the Wood Pallet Stamp for a background to pull the rustic look together. 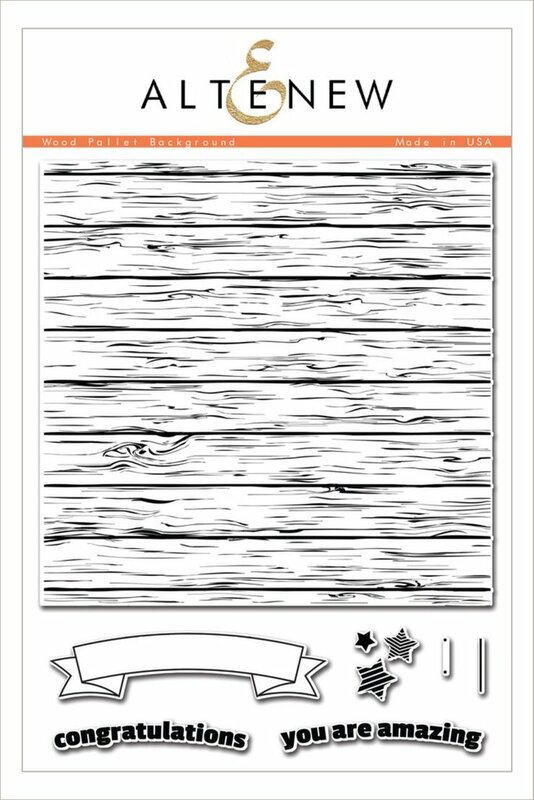 I started my process by using 5 different stamp colors to achieve the wood pallet background. 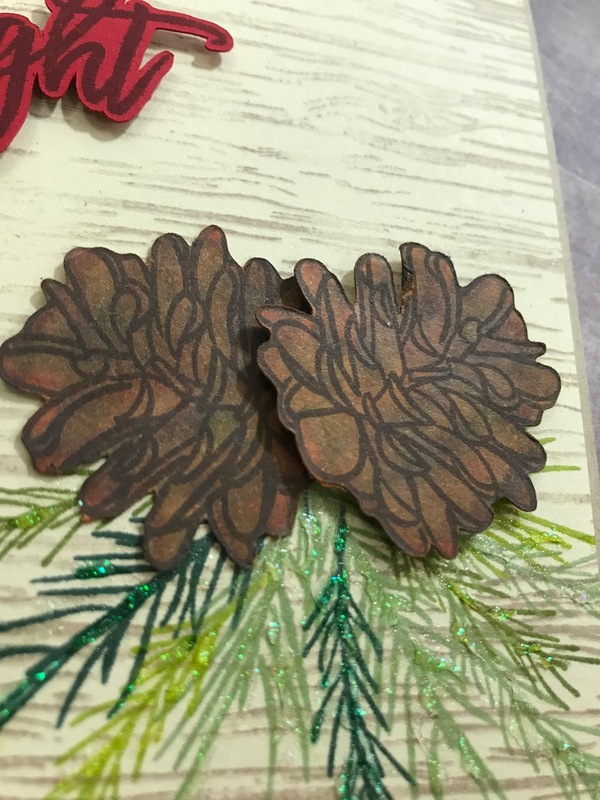 I then stamped the pine leaves in the lover right corner to create a cluster to lay under the pine cones. Stamping the pine cones (Poinsettia & Pine stamp set) on a beige paper I used Altenew Artist Markers to color them as realistic as possible. 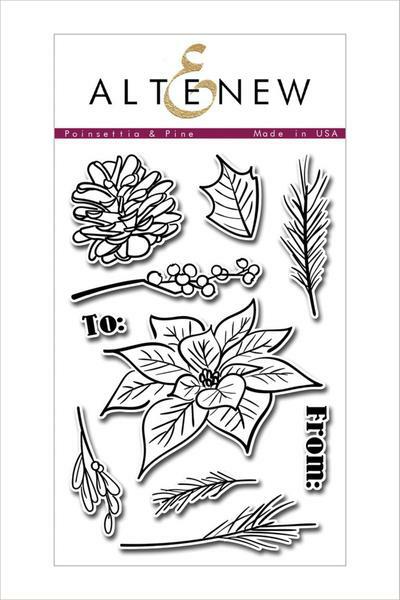 Not having the dies for my stamp sets, I used my Brother Scan-n-cut for the pine cones and the word sentiments. 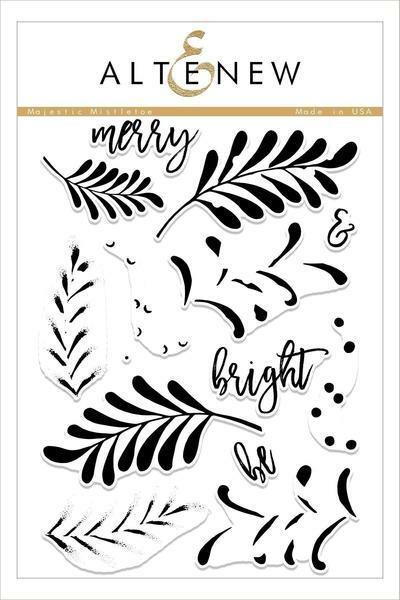 The sentiment came out of the Majestic Mistletoe set, which was stamped on red card stock using Espresso ink. 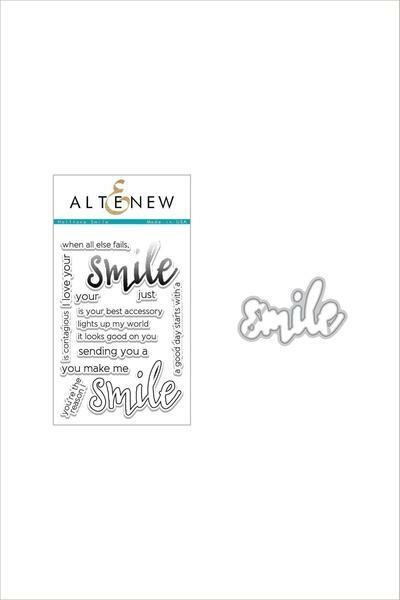 The small 'and' word was pulled from another stamp set since that's the size I needed. 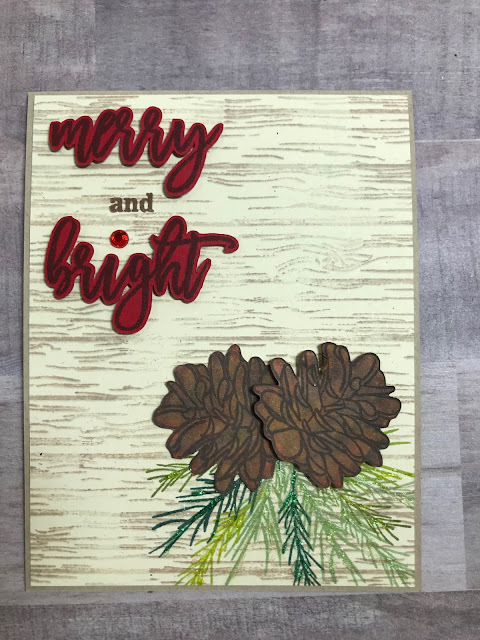 Finished the card off with a red gem to dot the 'i' and added Nuvo White Blizzard over the pines leaves. So some of you may be a little confused with the title of my post today. 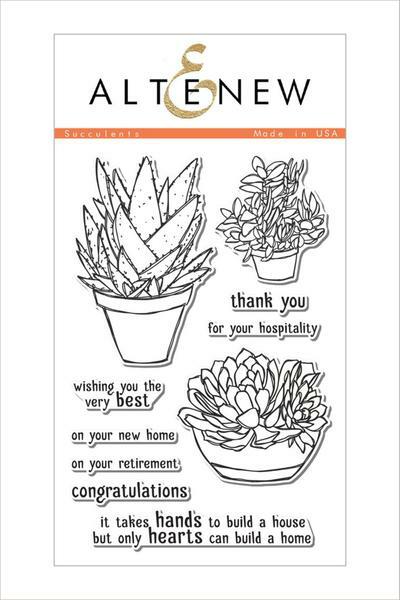 Nancy does cards not scrapbooks, well today I have a special project to share for my Altenew certification classes. I still have several more courses to complete and there are a couple of scrapbook layouts I can choose and I thought it would be a good challenge. 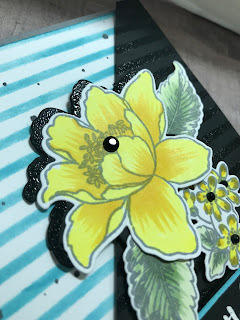 Now, I don't have supplies from the Altenew scrapbook paper line so I needed to come up with an idea using my floral stencils, stamps and dies. 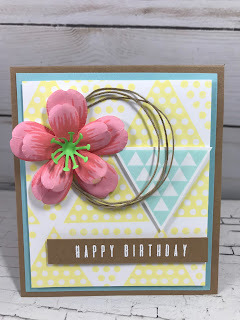 to enhance the floral aspect of the layout. I inked the background with Dew Drops and Mountain Mist from Altenew. This created a very soft fun floral effect. 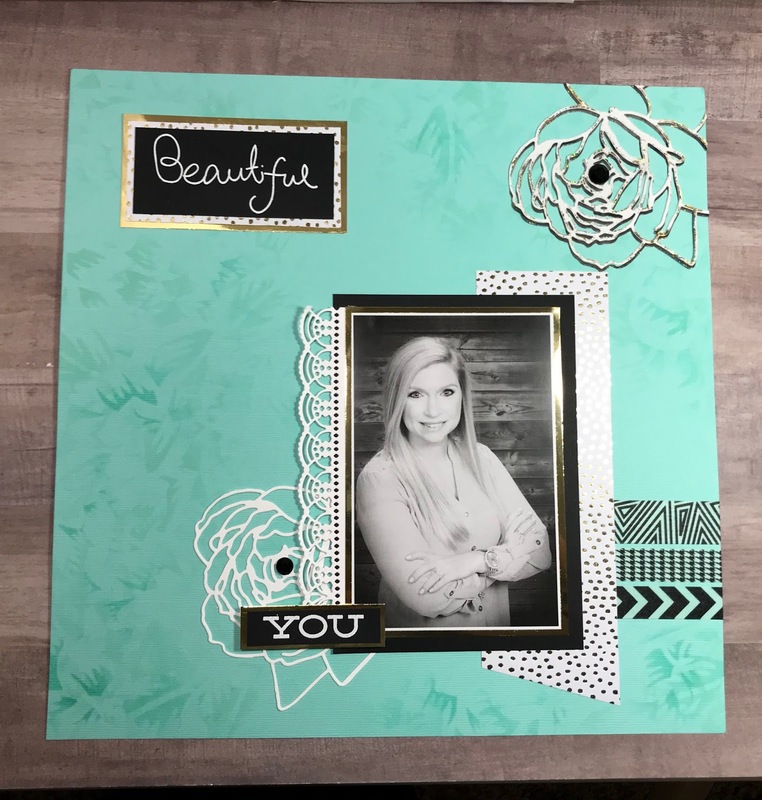 Matting the picture with back and gold created a great focal point and then I added various components from my stash. 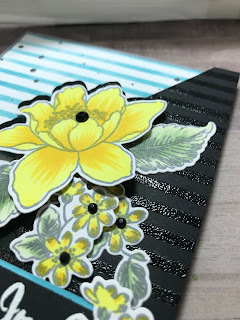 Washi tape, a gold dot paper, and a couple of black gems completed my project. Once again I needed to clean-up my workspace, so I put this card together instead of just sending everything to the trash. I've decided that I can no longer keep every little piece of scrap because it just gets out of hand. I need to keep creating and learn how to use what I have. First I want to say that I am happy to finally have some internet connections back. You don't know how much you take it for granted until it doesn't work. Still slow, but we are working on it. 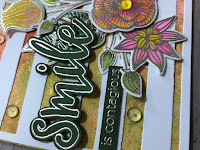 I want to share a couple of cards today that were inspired by The Dynamic Die Cuts course from Altenew Academy Classes. 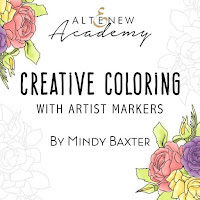 I am now working on my Level 3 classes and I must say that I continue to be impressed with the instructors and quality of classes. 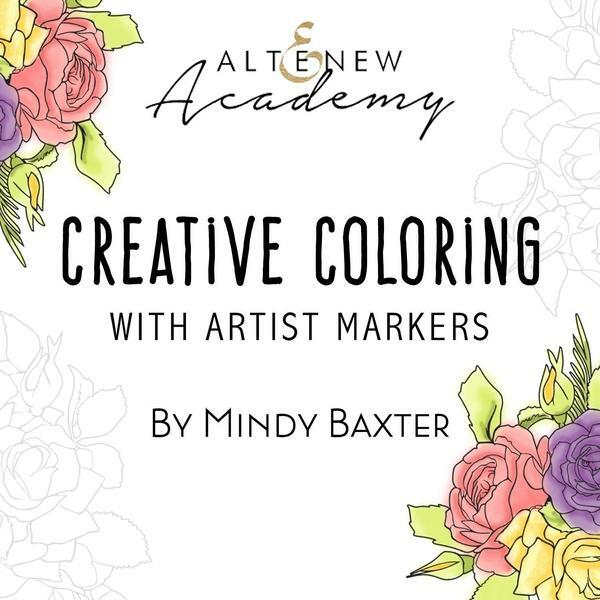 If you haven't check out the classes, hop on over and take a look. 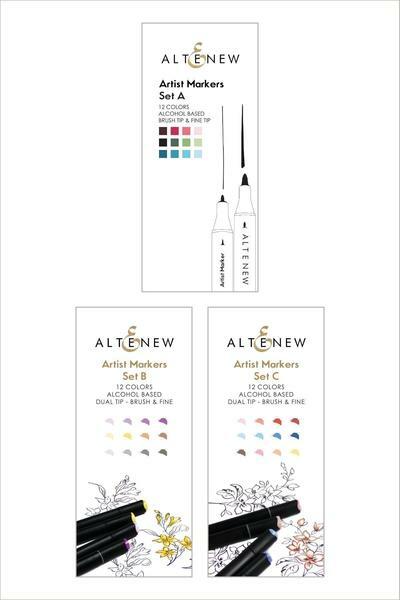 There are many to select from and they are all very reasonably priced and some are free. 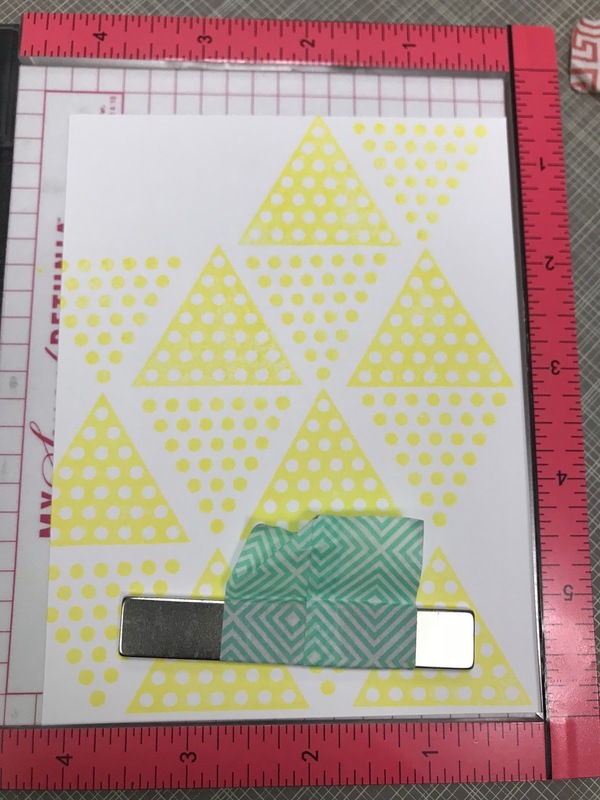 My first card is and example of Partial Die Cutting. 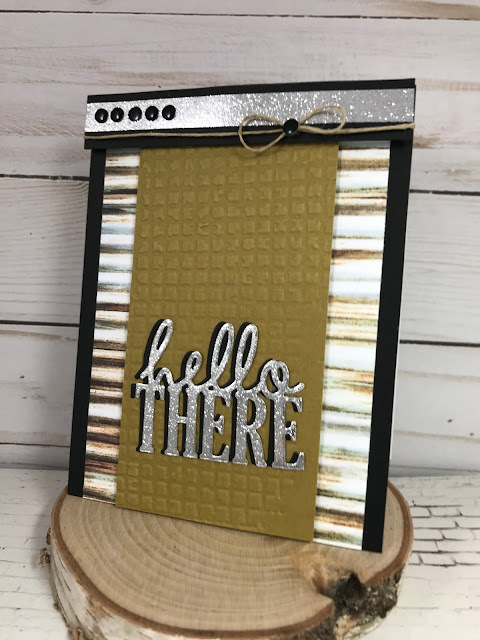 I used A couple of Altenew Cover Plates to make this card. You will notice that the image is only die cut in the center of the panel. 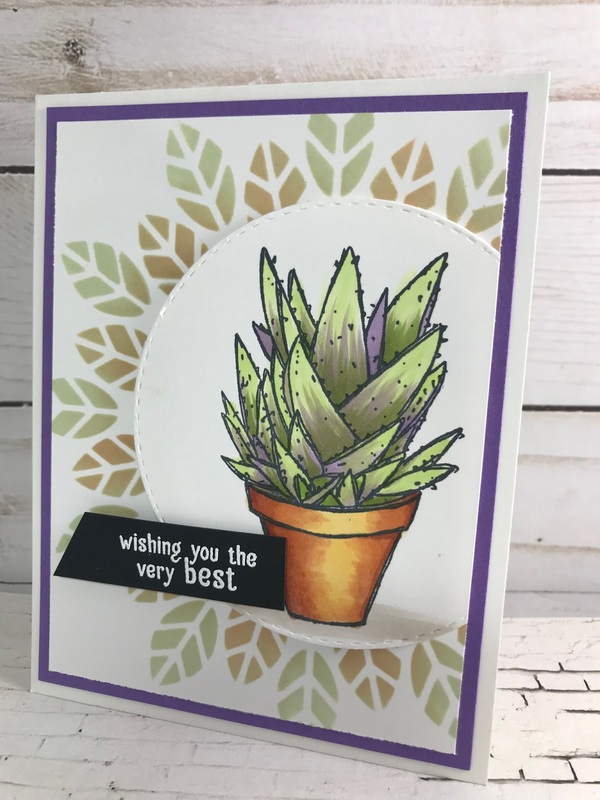 This is a simple and fun technique. 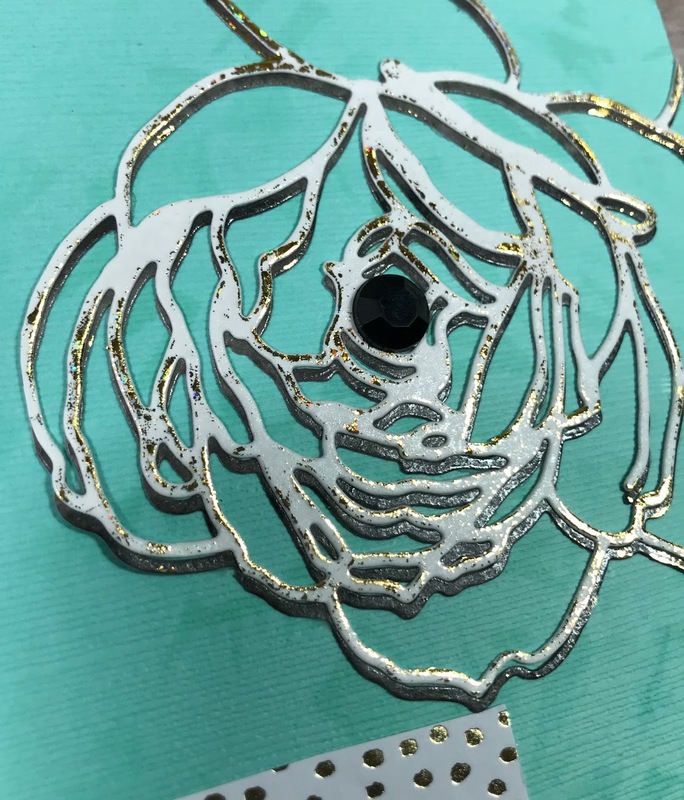 I didn't take pictures during the construction process but will try and do another card and film a video. 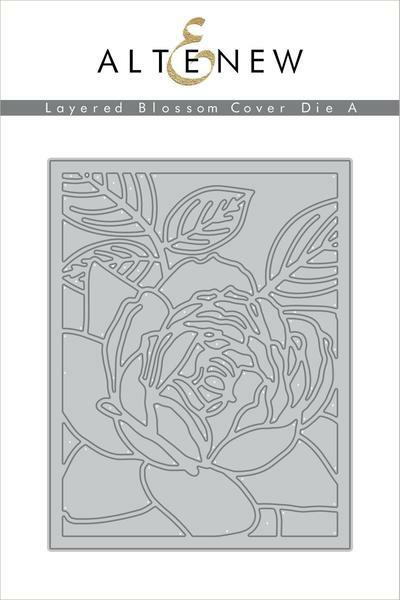 This has an acetate card front and then you die cut multiple images of your choice and adhere them to the acetate. 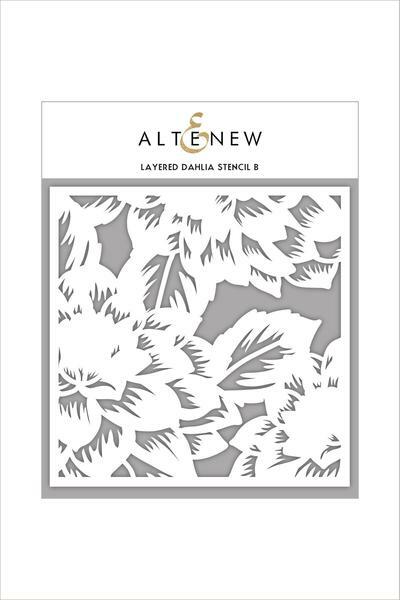 You need to cut enough images that you can also adhere them to the back of the acetate panel to achieve a finished look. Its difficult to take pictures that do the card justice. You need to use a good heavy acetate for this process so it will stand up to the weight. 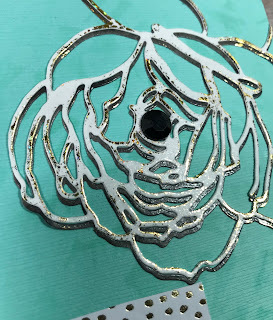 I have a video that you can watch to see the total process. 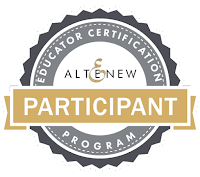 I'm excited to share another project for my Altenew Educator Certification Program. I have completed the assignments for Level 2 but still have a final challenge to present. 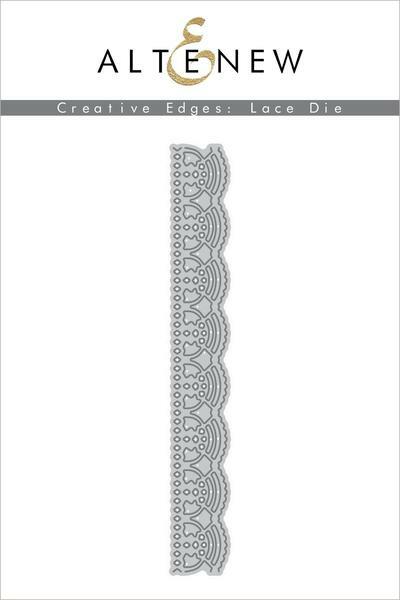 I has been asked to create a home decor/3D project with a matching tag or card. 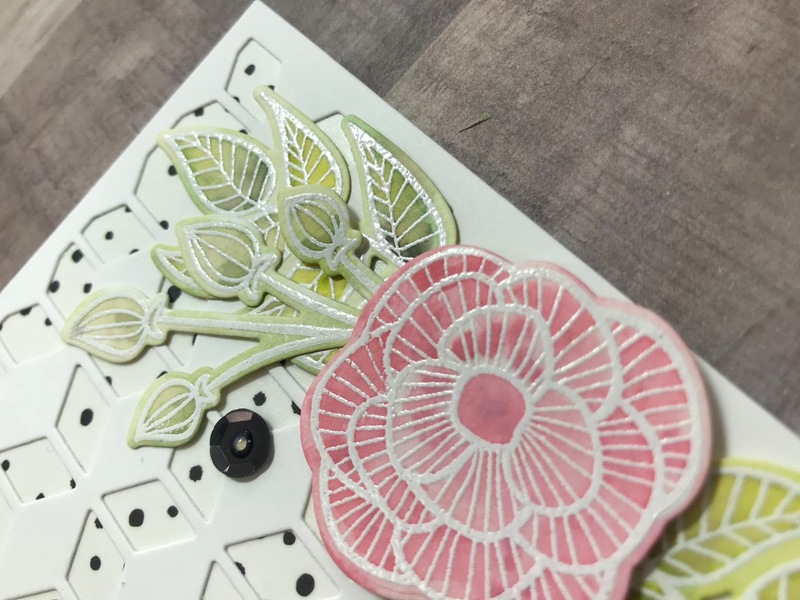 I've made paper flowers for years and when I saw the Altenew Build-A-Flower: Sakura Blossom stamps and die set I was so excited. The floral dies in this set have score lines for center creases and work very nicely with stamps or plain scrapbook paper. For this project I stamped the floral layers and used the dies. 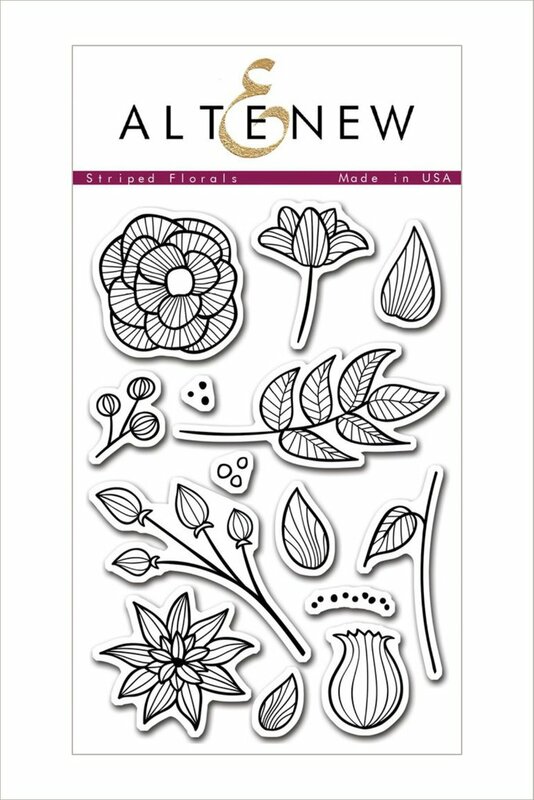 If you want to watch a video of how I constructed the floral stems the link to You Tube is below. 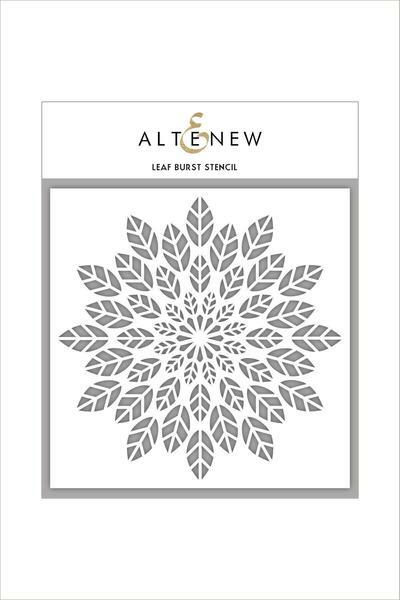 The fun banner on the flower can was created using the Altenew Trigonometry Set. 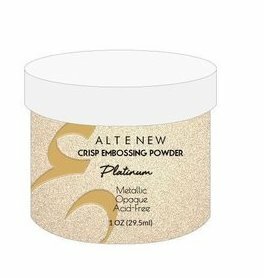 This set is very versatile. I stamped several extra triangles when making the banner so what better than to incorporate them into my add-on project. 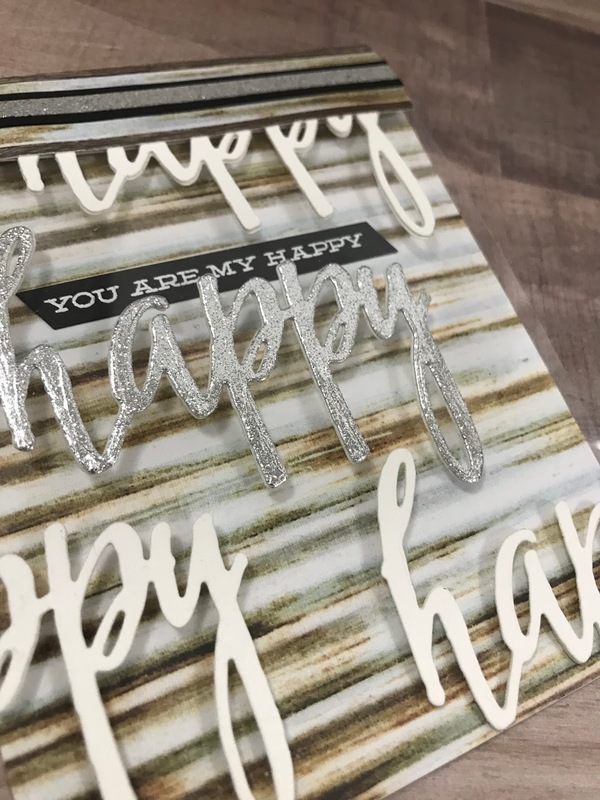 I made this cute little card that could also be used as a gift tag by just punching a hole and adding ribbon, it measures 3 3/4 X 4. 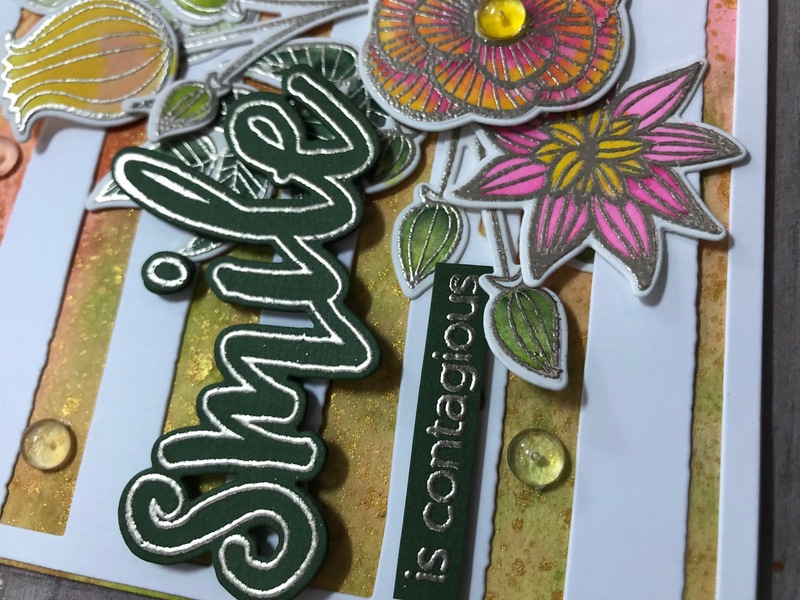 First I stamped the all-over background with Altenew Citrus Burst ink. Thanks for stopping by today and following my journey. I needed to spend some time today cleaning up my workspace before it got totally out-of-hand. I must admit that when I clean I get very distracted and usually make a bigger mess than I started with. Having enough stuff, the result is three cards made from the scraps and pieces parts laying around. So it looks like today was no different than any other cleaning day. Also on my list was going through my various markers and throwing out the ones that have dried up. Not too many hit the trash but obviously I have too many markers and the purge was good. This card was from extra stamped flowers and die cut pieces. Practicing a little pencil coloring using a Power Poppy image. 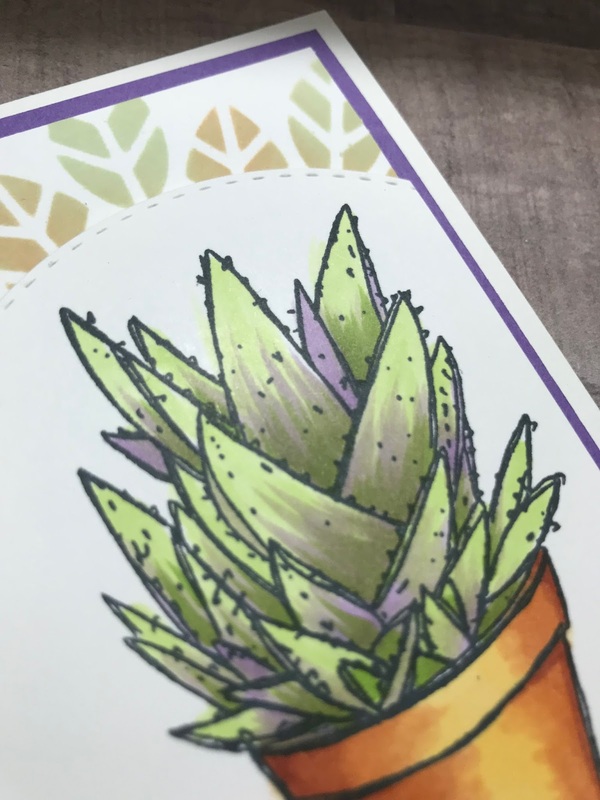 Extra stamped and embossed image only required a quick Copic color while watching TV. Ok, so things are much cleaner now and I'm going to finish watching the Oscars.